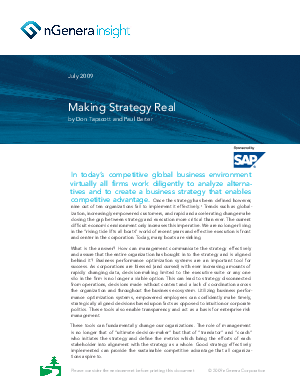 In today’s competitive global business environment virtually all firms work diligently to analyze alternatives and to create a business strategy that enables competitive advantage. Once the strategy has been defined however, nine out of ten organizations fail to implement it effectively. Don't let this happen to you.